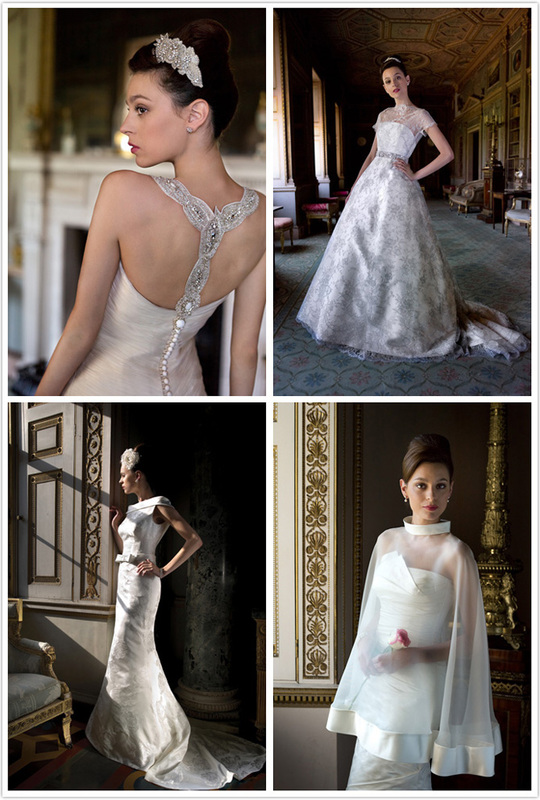 I’m very excited to among the first to get my mitts on the photos of Alan Hannah‘s 2012 High Society collection – woot! There’s one other Alan Hannah wedding outfit that I’ll post about (maybe tomorrow) once I get my hands on the picture – it made me (and everybody else in the room) smile when the model arrived on the catwalk wearing it. Seriously awesome, but anyway, that will wait. Below are my four favourites from the newest collection. And I predict that the sheer poncho over a sleeveless gown will increasingly appear in lots of collections – so lovely! The collection is very beautiful I am sure many girls would love it.